How to care for your second best asset, your ears. Jono Heale, from ACS talks to Paul Checkley – Harley Street Hearing & Musicians’ Hearing Services Clinical Director about hearing, how and why singers and musicians can damage this important sensory organ, and how to go about protecting this valuable asset. Paul explains how the ear works, how it can get damaged, which particular frequencies and exposure times cause hearing loss, and how to conserve your hearing as a singer/musicians. 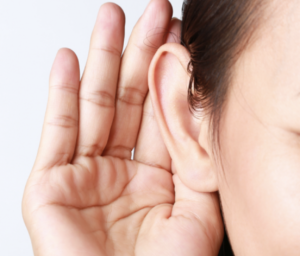 Did you know that our ears continue to grow throughout our lives? Weird, but true. It does mean you need to have your ear plugs and IEMs redone throughout your career. The Musicians Hearing Health Scheme – brought to you in partnership with Help Musicians UK, Musicians’ Hearing Services and the Musicians’ Union. This scheme gives all professional musicians in the UK affordable access to specialist hearing assessments and custom fitted hearing protection. Interview was carried out for iSing Magazine – a hub for singers with find reliable information, resources and advice about all things singing.